Law Enforcement Ammunition | Ammo & Bullet Mfg. Inc. The police forces do their best to protect our citizens on a daily basis. At times, they even put their lives on the line for our sake. To make sure that they are fully equipped for any cases that involve shooting, they need to have the best law enforcement ammunition possible. 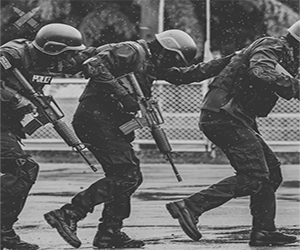 Whether it is for police academy training or a special mission, you need law enforcement ammunition that can keep up with all the demands of police work. Before purchasing the first pack you come across, you need to determine whether it’s the most suitable one for your agency. Talk to other police about their choice of law enforcement ammunition. You can distinguish premium-quality law enforcement ammunition from ones that are poorly made by consulting cops who are knowledgeable in this area. If they have been able to use many law enforcement ammunition during active duty, they are bound to give great recommendations and insights. While interviewing your fellow cops, you should ask them for copies of test results of their suggested law enforcement ammunition. Take notes for each brand or type that they mention. Additionally, you should also ask how the law enforcement ammunition performs during police-involved shooting. Documentation is crucial when you are determining which law enforcement ammunition you should choose. Be thorough with your research and keep in mind any requirements that need to be met during your mission or training. Perform a gelatin test on law enforcement ammunition. A great way to determine the quality of law enforcement ammunition is by how deep it can penetrate the human body. Simulation is necessary for testing law enforcement ammunition. For the target, you need to use ballistic gelatin that has been prepared according to protocol. Before shooting law enforcement ammunition, you need to cover the ballistic gelatin in several layers of denim. This step is necessary because it can show how far the law enforcement ammunition can go once it is shot towards a person wearing heavy clothing. The ability to penetrate through various barriers is a must for law enforcement ammunition. If yours passes the test, then you have a guarantee that what you have at hand is high quality. Get in touch with manufacturers of law enforcement ammunition. One of the most practical ways to distinguish top-notch law enforcement ammunition from the rest is by contacting the companies that made them. They have all the information you need about their law enforcement ammunition. You can use this data for documentation and comparison. Reliable manufacturers, such as Ammo and Bullet, are committed to helping customers who are interested in their law enforcement ammunition. As for our company, we even create law enforcement ammunition based on a customer’s specifications. For more information on handgun wounding factors in law enforcement read this: https://ammo.com/articles/handgun-wounding-factors-guide. Would you like to learn more about our law enforcement ammunition? Perhaps you want to order bullets that are beyond standard. If so, our team can respond accordingly. Ammo and Bullet is an ammunition company located in Arundel, Maine. We manufacture and develop premium-grade law enforcement ammunition. Our company also produces bullets for the armed forces and businesses. We create our products using the finest materials and state-of-the-art machinery available in the United States of America. Click here for more info about what we provide to law enforcement. Do you need a supply of law enforcement ammunition for your department? Our team at Ammo and Bullet can provide you with the best ones in the industry. If you would like to learn more about our products, do not hesitate to contact us today!